We've driven the showroom-ready 2018 BMW M5 and can confirm that its AWD system enhances its appeal. Apparently it took a while for BMW's M department to convince the powers that be that the 2018 BMW M5 should use four-wheel drive. After all, this is the sixth generation of the M5, a sports saloon that's established as a driver's favourite and it has always been exclusively rear-wheel drive. Helping BMW M's argument was a clever new M xDrive system that not only allows the driver to make the new M5 completely rear-wheel drive, but also endows it with ability and engagement to better all previous iterations of the icon, while widening its envelope of usefulness. It's a cracker. The new BMW M5 follows the well-worn road of subtle M car aggression, with just enough signifiers to help it stand out and give the range-topper more presence than a regular BMW 5 Series. Of course, as is the BMW M way, almost all the changes are functional. It starts up front with a deeper restyled bumper with larger air intakes, including one for the oil cooler. Above that is the current M-style interpretation of the BMW kidney grilles and a small 'M5' badge. The aluminium bonnet's design lines are mimicked in the roof, which, for the first time in an M5, is made from carbon fibre. The track of the new car is wider than its predecessor's and the enlarged front wings, featuring an M5 'gill', are made from aluminium to keep weight down. There are also new door mirrors, side skirts and bespoke 20-inch alloy wheels to see from the side. At the back, as expected, there are four exhaust outlets protruding from a new bumper and diffuser assembly, complemented by a small boot lid spoiler. The interior of the new BMW M5 gets more colour than before, to further differentiate it from M Sport versions of the 5 Series, no doubt. You'll not miss the suggestive M1 and M2 buttons projecting from the tactile new steering wheel, as they're bright red. As is the engine start button behind. The bespoke gearchange paddles are small and unassuming in comparison, but perfectly weighted and lovely to the touch. Same story for all the rest of the switchgear, as in the regular 5 Series. And while the M5 gets its own graphics and sub-menus in the excellent digital instrument cluster and touchscreen iDrive system, the biggest change is to the centre console. There you'll spot a chunky new design of shifter for the eight-speed automatic transmission. Look closer and you'll see a toggle switch on its top for the Drivelogic system, offering three levels of gearchange speed and smoothness. To the side of all this is a new group of drive settings buttons, allowing the driver to alter the engine map, damping and power steering between Comfort, Sport and Sport+ settings on an individual basis. There's another button for the optional two-stage sports exhaust and another for the Dynamic Stability Control (DSC) and, finally, the Setup button that allows a shortcut to the iDrive menu on-screen where the driver sets up their favourite groups of settings for the M1 and M2 buttons. This is also where the driver chooses the M xDrive settings, and it's worth going through it again, though we were lucky enough to experience it all in operation earlier in the year in a pre-production version of the BMW M5. Every time you restart the car, it defaults into the standard 4WD setting, with DSC turned on. Tap the DSC button to activate the mid-level M Dynamic mode and 4WD Sport is automatically selected too. Only when you hold down the DSC button for long enough to disengage it completely do you get to choose between 4WD, 4WD Sport and 2WD. 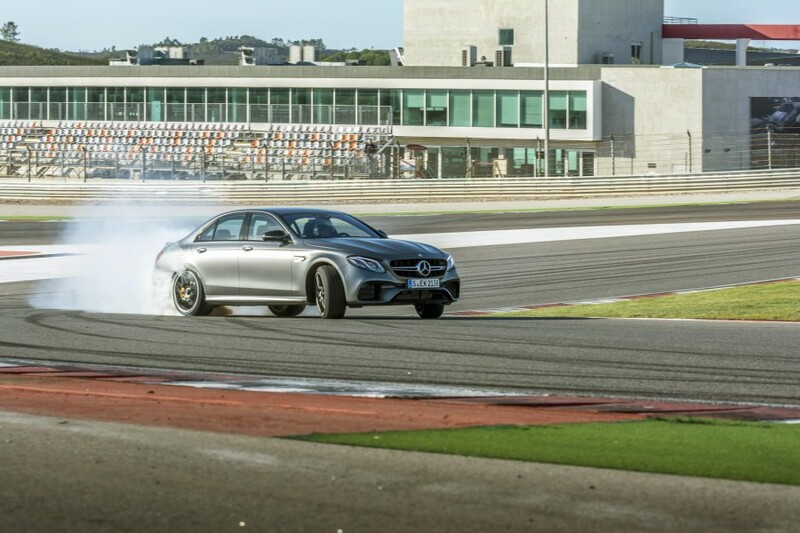 The latter mode is rear-wheel drive only with no stability or traction control whatsoever. The new M5 is fast. Really fast. And I don't mean in a deceptive way, either, as it involves you in the experience from the start, blasting away from a standstill with huge amounts of traction and accelerating hard until either you run out of road or nerve. The twin-turbocharged V8 under the bonnet puts out 600hp, but it's the 750Nm of torque that really matters, especially as it's on tap from just 1,800rpm all the way around to 5,600rpm. So there's no need to redline every one of the eight gears to make indecent progress, but you probably will anyway to hear the menacing growl from the exhaust and the whooshes from the turbos up front. The transmission is brilliantly judged, whether pootling around in stop-start traffic smoothly or attacking a race track with quick changes, though keener drivers will still no doubt use the paddle shifts. Pleasingly, if you do so, it'll allow you full control on up-changes, sitting on the rev limiter if that's what you fancy. Not that you have any excuse for hitting that, even with such a ferocious engine, as there's a lovely series of 'change up' warning lights in the dashboard. The M Servotronic power steering is usefully direct, but never nervous, though is probably one of the few aspects of the car's mechanical make-up that we'd like an improvement in, as there's just not enough communication through the rim of the wheel to the driver's fingertips. Slowing back down from big speeds isn't a problem, especially when the M5 is fitted with the optional M carbon ceramic brakes, as our test cars were. The brake pedal is easy to modulate and stopping power is massive, even after several very fast laps of a dry and warm Estoril race track. There we also got to exploit the M5's handling to the fullest, in all of its modes. In 4WD, it's safe, secure and fast, but nowhere near as 'pointy' as you might expect of an M5. That'll be great for poor conditions, however. The 4WD Sport mode is my favourite, with DSC off fully, as it sends a lot of power to the rear axle by default, yet finds huge traction on the exit of bends, even if it is doing so with an obviously rear-driven feel. It's satisfying and engaging, delivering that stereotypical BMW M sensation while also making it easier to use all the performance. Even with the DSC in the mid-setting, the computers allow quite a degree of slip at the rear axle before smoothly intervening. Doubters will be pleasantly surprised how brilliant the M5 is to drive in this guise. If they have the space and skills, of course, they can switch into fully 2WD mode, with all 600 horses doing their best to rip the rear tyres apart. And yet, even in this setting, the M5 doesn't turn into a tyre-smoking, oversteering mess (unless you want it to), instead telegraphing its rotation well to the driver and making it rather easy to keep things under control. BMW M's engineers put that down to improvements made to the Active M Differential at the back. Previous experience shows that all this translates very well to wet conditions too. This is a very well sorted car. Back on the road, the M5 also manages to be huge fun, despite limits on how much space you have and how fast you're allowed drive. That's very important for the M5, as in this part of the world, few buyers will ever test its mettle on a race circuit. BMW M has managed to make it engaging even at sane speeds, where it scythes from corner to corner with zero lag or slop in any movement or control, allowing fine adjustment of the car's attitude and line with the throttle. Thanks to all the drive settings, it can be aggressive and wild one moment yet civilised, quiet and comfortable the next. The 2018 BMW M5 comes as standard with 20-inch alloy rims, BMW Icon Adaptive LED Headlights, Park Distance Control, four-zone climate control, M leather multi-functional steering wheel, Digital Cockpit, Driving Assistant, Head-Up Display, High-beam Assistant, BMW Professional Multimedia, front heated seats, ambient lighting, 10.25-inch Control Display, Comfort Access with smartopener and BMW ConnectedDrive (BMW Emergency Call, BMW Navigation, BMW Online Services, BMW Teleservices, Real Time Traffic Information) among many other things. As it should for a starting price of €163,800. The Mercedes-AMG E 63 starts from much less than that, as does the Audi RS 6 Avant and RS 7 Sportback, though the Porsche Panamera Turbo is more again, so the M5 sits in the middle somewhere. In short, the new BMW M5 is more fun to drive than its predecessor because of its all-wheel-drive system, not despite it. There's a huge amount to like here from a keen driver's point of view. On the flip side, the M xDrive system makes the serious performance of the M5 accessible to more drivers more of the time, regardless of the weather, so it has considerably widened its appeal. On top of all that, BMW M has managed to enhance its technology, comfort and quality. Is this the best sports saloon in the class? We think so. 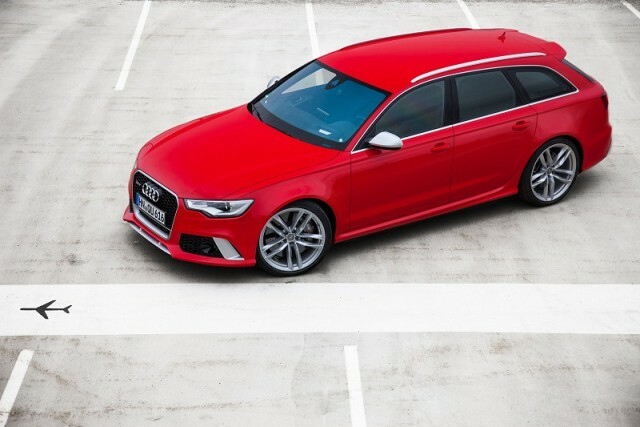 Audi RS 6 Avant vs. BMW M5: not much longer for this world and nowhere near as sophisticated in any case, but even more practical and less expensive to buy. Mercedes-AMG E 63 4Matic+ vs. BMW M5: theoretically very similar technical make-ups, but actually quite different execution. The AMG is more aggressive more of the time. 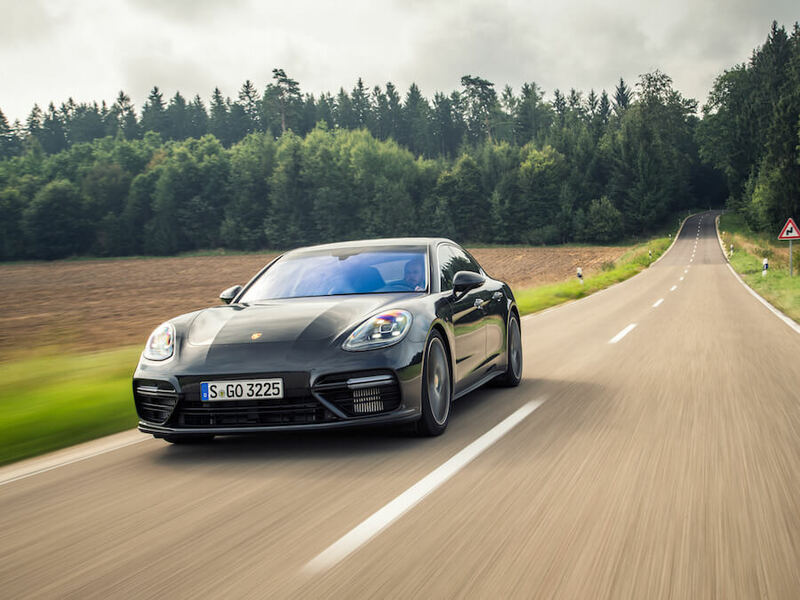 Porsche Panamera Turbo vs. BMW M5: not as practical (unless you go for the Sport Turismo version...), but monster performance - not quite as agile feeling as the M5, however, and very expensive.